I bought this as a gift. My sister-in-law loves it. Wonderful addition to my sons' nutcracker collections. My daughter Jenny I took to the Nutcracker play. After the play we stopped at a table in the entry and I bought her a nutcracker. It didn't survive her last move, and three kids later. I am sure she will love it. My daughter collects nutcrackers,we get her a new one every year for xmas. Every year I get my grandson a nutcracker. 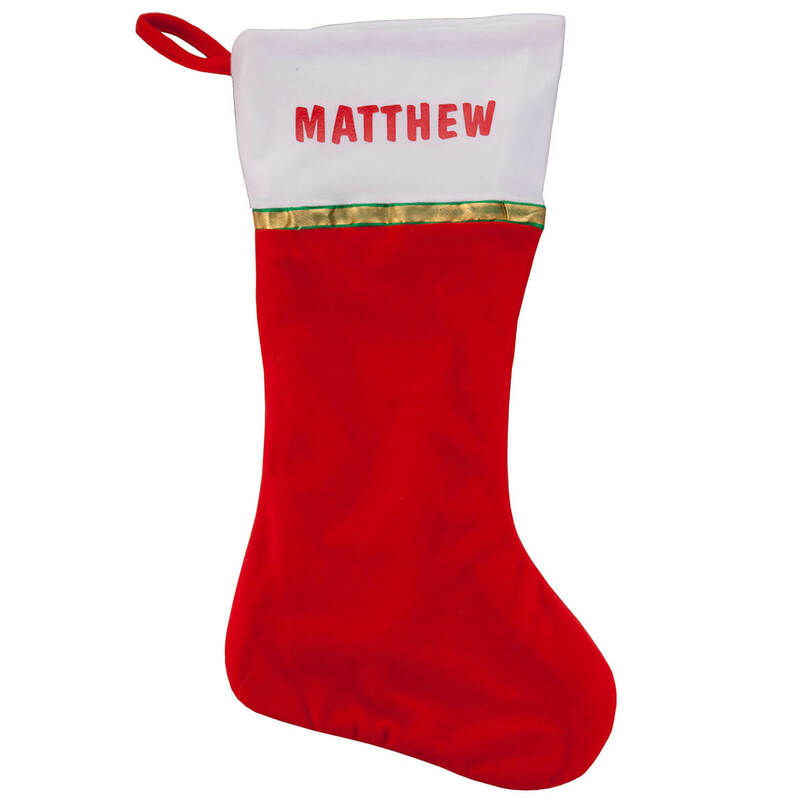 I think he will like a personalized one. My grandsons have a nutcracker collection. Nephew collects nutcrackers & this will be a perfect addition to his collection. My grandson collects nut crackers just like his grandma. He will love seeing his name on this one. I wanted one that could be personalized. Nutcrackers are my traditional gifts to my grandson. To be able to personalize one will make it even better. This is for next Christmas; I plan ahead! Great for a Nutcracker collector! Will be the 1st one personalized. Have started giving Nutcrackers to grandkids and love the personalization. can I receive by Dec 19? BEST ANSWER: Thank you for your question. Unfortunately we are unable to have an item delivered to you by that date. We hope this information will be of help to you. Does this function for cracking nuts? It might Break it depending on the type of nuts. I collect these nutcrackers and display them and have added this one to my collection. No, it is just decorative, however you can move the mouth open and shut. No It does not.But it is really cute. I don't think so - it's decorative. BEST ANSWER: Thank you for your question. The nut cracker is 4" wide x 12" high. We hope this information will be of help to you. I need it to say “NC State WOLFPACK” as the name. Can this be done? BEST ANSWER: I only had my grandson's first name imprinted. There may not be room for all that you want on it but you will need to ask how many letters and spaces that you will be allowed. Personally, I doubt that there will be room but you will need to check. Thank you for your question. It will not be able to fit. It can only be personalized with 10 characters. We hope this information will be of help to you. 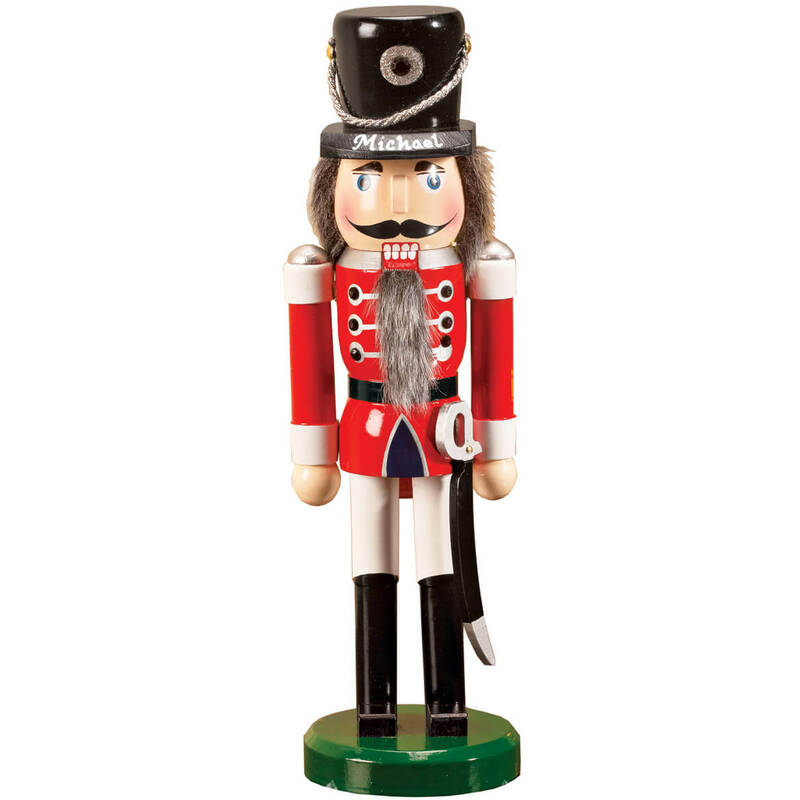 I would like to have a nutcracker that is a barber, can one be made? BEST ANSWER: Thank you for your question. We do not make our products, other vendors do. We hope this information will be of help to you.